Conceal skin imperfections with COVERMARK foundation. COVERMARK has medium to high coverage foundation for dry, combination, normal or oily skin. Lasting, moisturizing, dewy and natural-looking foundation to cover facial redness, dark eye circles, blemishes, fine lines, freckles, age spots and uneven dullness for a bright and healthy complexion. Glowing, porcelain skin from within with COVERMARK. Whether you’re in your 20s, 30s, 40s or 50s, there is no limit to the journey for naturally spotless, poreless and unblemished skin. Experience professional skin analysis with a one-on-one skin consultation session at our beauty counters to find your best suitable foundation. *You will contacted by us to schedule an appointment. Effectively conceal skin imperfections for a smooth, even and glowing complexion with the ultra-blendable COVERMARK Moisture Veil LX powder foundation. The highly-pigmented formula provides long-lasting coverage, absorbs sebum throughout the day and protects with broad-spectrum SPF32 PA+++. Developed since 1928, COVERMARK was formulated to conceal skin problems and to achieve a polished, flawless complexion. Now, you can create radiant, glowing skin with a minimum amount of COVERMARK Moisture Veil LX powder foundation. 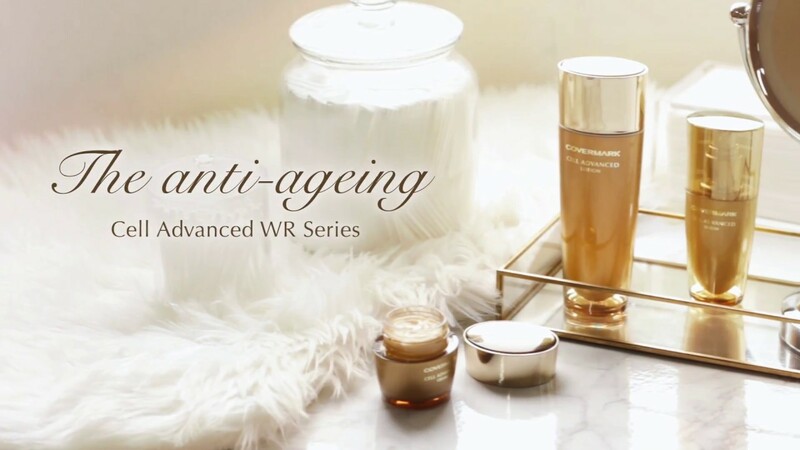 Give more life to mature skin and experience the deepest skin transformation with COVERMARK Cell Advanced WR 3 Steps + Special Care. Collaborating with Osaka University, we developed an effective formula to significantly even, smoothen, hydrate and firm aging skin for a young, glowing and beautiful complexion. Enjoy exclusivity and special privileges when you become a member from the moment you purchase* from an authorised COVERMARK counters in Singapore. Receive a complimentary gift with your second purchase from an authorised COVERMARK counters in Singapore. Be rewarded with a gift of appreciation the moment you introduce a friend to purchase any products* from an authorised COVERMARK counters in Singapore.